Although Milan more than played their part in last week’s thrilling 2-2 draw at the San Siro against old rivals Real Madrid, especially the effervescent Pippo Inzaghi, it is fair to say that the rossoneri have started the season in somewhat inconsistent fashion, having already suffered painful defeats against Cesena and Juventus in Serie A and only winning one of their four Champions League games to date (at home against Auxerre). It remains to be seen whether Milan can mount a challenge for honours this season, but the early signs are not overly convincing. In spite of the arrival of strikers Zlatan Ibrahimovic and Robinho late this summer, it is far from certain that the team will improve on its recent indifferent record. Even though Milan have finished third in each of the last two seasons, this is nothing to write home about for a club with such a glorious history. We are after all talking about an enormously successful club that has won the Italian Championship 17 times, the Champions League on an incredible seven occasions (only bettered by Real Madrid) and the European Cup Winners’ Cup twice. Throw in four world club titles plus five UEFA Super Cups and it is understandable why this is one of the most famous and popular football clubs on the planet. 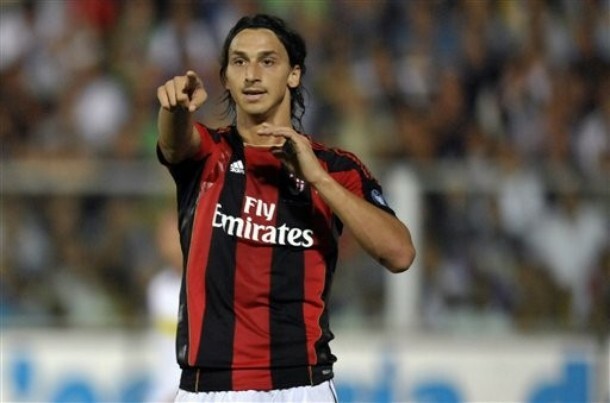 "Ibra points the way forward"
However, older Milan fans will be only too aware that the current team is not a patch on those that they watched sweep all before them many years ago. In the late 80s, Arrigo Sacchi’s side produced a magnificent brand of attacking football, driven forward by the Dutch stars, Ruud Gullit, Frank Rijkaard and the incomparable Marco Van Basten, winning the European Cup twice in a row. The momentum was maintained in the first half of the 90s under Fabio Capello, when the team won three consecutive scudetti, including the amazing achievement of not losing a single match in the 1991/92 season, and demolished Barcelona 4-0 in the 1994 European Cup Final. Happy days, but the last few seasons have been barren in comparison, even though Milan did revisit former glories when they beat Liverpool 2-1 to win the 2007 Champions League through two goals from that man Inzaghi. This relative lack of success has been made even worse for the Milanisti, as their city rivals Inter have become the dominant force in Italian football, winning the last five league titles and adding insult to injury by triumphing in the Champions League last May. It has been obvious for some time that the ageing Milan squad is in desperate need of a radical overhaul via an injection of youth. Although the famed Milan Lab has worked minor miracles in extending the ability of the older players to continue in the top flight, the law of diminishing returns must inevitably apply. Even if the spirit is willing (and I’m not entirely sure that it is any more), the flesh is weak. The problem is that so many of the team have become old at the same time that wholesale changes are now required. In order to achieve this and still remain competitive, the club will need to find money and lots of it, but this seems unlikely, given recent spending patterns and the noises emanating from Milan’s executive management. "Galliani doesn't seem too worried"
This is all eminently reasonable from a business perspective, but Milan supporters don’t understand why the formerly benevolent Berlusconi has turned off the money tap, so much so that there have even been fan protests asking him to once again put his hand in his pocket or leave the club to somebody who will splash the cash. There is the obligatory group on Facebook (“Berlusconi – leave Milan”), but this has already attracted over 30,000 members, so these are hardly isolated voices. 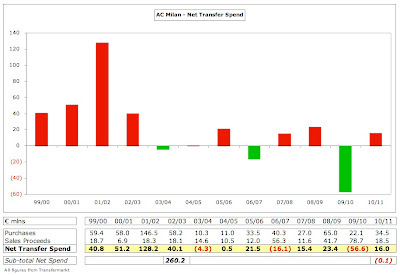 The change in Milan’s financial fortunes has been dramatic, as can be seen when looking at their net transfer spend over the last twelve year period: in the first four years (1999-2003), Milan’s net spend was a substantial €260 million, when they bought superstars of the calibre of Rui Costa, Inzaghi, Nesta, Shevchenko, Seedorf and Pirlo. However, in the following eight years, the net spend was effectively zero. Even when they paid big money for someone like Ronaldinho in 2008, this was recouped (and more) with the sale of Kaka the following season. All in all, the transfer window in the summer of 2009 was not the most successful for Milan, as they also missed out on a number of potentially significant signings, including Edin Dzeko, Luis Fabiano and Aly Cissokho. The suspicion was that they simply did not offer enough money to secure their services. 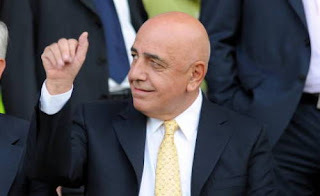 Nevertheless, Galliani has shown himself to be an astute, cunning “wheeler dealer” on occasions, most notably when he picked up Ibrahimovic and Robinho on the cheap in a crazy few days in late August. Ibra had been sold to Barcelona by Inter just a year before for around €70 million (€50 million cash plus €20 million valuation for Samuel Eto’o), but Galliani engineered a deal whereby Milan would take the enigmatic Swede on loan for the 2010/11 season with an option to buy him for only €24 million in 12 months time. That was impressive enough, but was quickly followed by the purchase of Robinho for €18 million, only two years after Manchester City had paid Real Madrid €43 million for the Brazilian. Of course, critics might point out that both of these players could be considered risky investments, given their track record of inconsistent performances and their somewhat disruptive nature. Indeed, we have a precedent here, as Ronaldinho was bought for what seemed like a bargain price of €25 million, but he has hardly set the world alight in Italy. Nevertheless, from a financial perspective, it is abundantly clear that Milan are very focused on not building up a deficit in the transfer market, but, in fairness, they are not alone in this. Even the infamously spendthrift Inter have become parsimonious these days, actually receiving net cash from transfers of over €50 million in the last two years. But why do Milan need to follow such an austere approach? The answer is blindingly obvious when you look at their profit and loss account. The harsh reality is that Milan make losses every year – unless they sell a big name player, like Shevchenko in 2006 (profit €42 million). Even this is not always enough, as the huge profit on sales in 2009 of €74 million (Kaka €63 million, Gourcuff €11 million) merely limited the damage, reducing the previous year’s gigantic loss of €77 million to “only” €19 million. Actually, even in 2006 player trading would not have resulted in a profit without the inclusion of a €27 million once-off payment by Mediaset for an option on future TV rights. Of course, Milan could repeat that trick by selling another world class player, though Galliani denied this last April, “We will not sell any stars. Certainly we won’t sell Pato, Thiago Silva, Ronaldinho, Huntelaar or Borriello.” However, the more observant among you will have noticed that this declaration did not prevent Milan from selling Huntelaar to Schalke 04 or from loaning Borriello to Roma with an option to buy at the end of the season. It would therefore be no great surprise if one of the others were in fact sold next summer to cover the inevitable operating losses, as the only alternative in the short-term is for the owners to once again shoulder the monetary burden. At this stage, I should clarify that this analysis is based on the accounts for A.C. Milan S.p.A., as opposed to the consolidated Milan Group, because that enables a better like-for-like comparison with other football clubs. 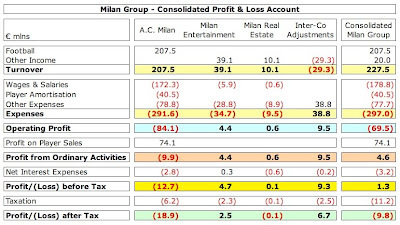 In this way, we have excluded the financials for Milan Entertainment S.r.I. and Milan Real Estate S.p.A. This does not make a significant difference to the figures, e.g. Milan Group reported a loss last year of €10 million compared to the football club’s €19 million, though we should acknowledge that the Group’s performance is a little better, mainly due to commercial income in the Entertainment company. While we are sorting out technicalities, it may not have escaped people’s attention that the revenue figures in our analysis are different from those quoted by the club. Again, in the interests of consistency, I have excluded the following: (a) gate receipts given to visiting clubs €3.2 million; (b) TV income given to visiting clubs €16.7 million; (c) profit from player sales €74.1 million; (d) increase in asset values €6.1 million. Adding the total adjustments of €100.1 million to our revenue of €207.5 million gives the €307.6 million revenue reported by Milan S.p.A. If we then add the €20.0 million from Milan Entertainment and Milan Real Estate, we arrive at the €327.6 million widely reported in the press for Milan Group. Normally, that €207.5 million revenue would be the figure used by Deloittes for their Money League comparison, but Milan’s accounts have another curve ball to throw at us, as their accounts uniquely cover a calendar year (up to 31 December) in order to be consistent with the timings of their holding company Fininvest. All other clubs manage their accounts to coincide with the football season, so they close them in May, June or July. Because of this timing anomaly, the good folk at Deloittes have confirmed to me that their revenue figure of €197 million was provided directly by the club, but this is within 5% of the revenue reported in the accounts, so the themes are very much the same, whichever figure you take. OK, that’s enough technical talk, let’s look at how Milan’s business model works. At first glance, Milan’s revenue of around €200 million might not seem too bad. It puts them firmly in the cluster of leading Italian clubs (Inter and Juventus are about the same) and places them tenth in the Deloittes Money League. However, It’s a long way short of their competitors from other countries. Both of the Spanish giants, Real Madrid and Barcelona, generate significantly more revenue than their Italian counterparts with Madrid earning over twice as much as Milan. It’s the same story in England with Manchester United’s receipts being €130 million higher, while Arsenal’s income is a third higher. The reason for Milan’s comparative revenue weakness is clear to see, as their match day revenue is one of the lowest around at just €33 million. This is typical of Italian clubs, which is reinforced by the fact that the only two clubs in the Money League top ten earning less from this revenue stream are Inter and Juventus. Even though Milan’s gate receipts are the highest in Italy, it’s a bit like being the tallest person in Lilliput. On the other hand, Milan’s television revenue is one of the highest at €99 million, representing just over half of the club’s total revenue, which again is a common theme among the top Italian clubs. Almost all of this came from the domestic broadcasting deal with Mediaset, which was extended until the 2009/10 season, as the club only received €0.4 million from the UEFA Cup in 2008/09, compared to €24 million from last season’s participation in the Champions League. Given that the TV income is still so high, even without any money from the Champions League, only emphasises the importance of the domestic TV deal to the club’s finances. Up until now, Milan have been able to market their TV rights on an individual basis, which has been the source of significant competitive advantage, but Italy has now moved to the collective selling of these rights, which in theory will cause their television revenue to reduce due to the more equal distribution of revenue amongst all clubs. However, early projections indicate that Milan will only suffer a small decrease for a couple of reasons. First, the total money guaranteed by exclusive media rights partner Infront Sports will be approximately 20% higher than before at over €1 billion a year. Second, the complicated distribution formula still favours the big clubs like Milan: 40% will be divided equally among the 20 Serie A clubs; 30% is based on number of fans (25%) and the population of the club’s city (5%); and 30% is based on past results (5% last season, 15% last 5 years, 10% from 1946 to the sixth season before last). As you might expect for a club with media magnate Silvio Berlusconi at the helm, television income has always been of great consequence to Milan. 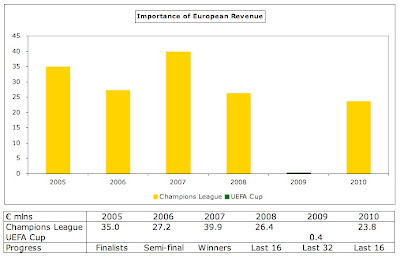 In fact, they generated the highest broadcasting revenue of any Money League club in 2007, partly due to the €40 million payment they received for winning the Champions League, a particularly impressive feat as they had to go through the qualifying rounds as part of the punishment for their role in the Calciopoli scandal. There is no doubt that Champions League qualification is imperative for Milan with the accounts identifying this as the key risk facing the club’s economic prospects. Galliani has warned that losses would rise if the club did not qualify, especially if they tried to maintain a squad of “Champions League quality”. In the past, it’s been very lucrative, especially in the purple patch between 2005 and 2007, during which Milan won the trophy, were runners-up and reached the semi-finals, when they averaged €34 million a season, not including additional gate receipts or increases in sponsorship payments. They have not touched those heights since, but even in the years when they were eliminated in the round of the last 16, they still earned a very handy sum. Taking 2009/10 as an example, Milan received €24 million , derived from €7.1 million participation fees, €2.8 million for performances in the group (3 wins at €800k plus 1 draw at €400k), €3 million for reaching the last 16 and €10.9 million from the TV (“market”) pool. To place that into context, Inter’s payment for winning the competition was worth €49 million. Despite Milan’s patchy record in the last few seasons, the club still retains an enduring appeal, which is demonstrated by the commercial revenue holding up reasonably well. Even though last year’s figures were boosted by the once-off sale of Milan’s image archive for €20 million, the club has stated that in the future commercial contracts will be worth a minimum of €64 million a season until 2017. The new shirt sponsorship with Fly Emirates will run until 2015 and is worth a guaranteed €12 million a season plus performance related bonuses. These can be worth a fair amount, as seen by the previous contract with Bwin, which generated €10.5 million most seasons, but was as high as €14.2 million in the year that Milan won the Champions League. In any case, the club’s sponsorship deals have been on the increase: up to 2006 Opel €9 million, 2006-2010 Bwin €10 million, 2010-2015 Fly Emirates €12 million. Milan have enjoyed a long-term relationship with kit supplier Adidas. The current deal runs until 2017 and produces around €13 million a season. According to the supplier’s sales data, Milan sell between 400,000 and 600,000 shirts a season, which would put them in the top ten clubs worldwide and around the same level as Inter and Juventus, though the likes of Real Madrid and Manchester United sell nearly three times as many. It remains to be seen whether Kaka’s transfer has an impact on these figures, as he was the fans’ favourite, so the vast majority of shirt sales used to have his name on the back. On the one hand, Milan should be congratulated for their efforts in the commercial field, as they earn more here than any other Italian club. For example, their €12 million shirt sponsorship deal is higher than Inter’s €9 million deal with Pirelli (and remember that the nerazzurri are the Champions League winners) and Juventus’ €8 million contract with Betclic (though this is only for the home shirt). On the other hand, Milan’s €64 million is much lower than clubs abroad. Real Madrid and Barcelona earn well over €100 million, but the benchmark is set by Bayern Munich, who earn an astonishing €159 million commercial income, despite a fairly ordinary Champions League record (at least in recent times). Of more concern is the ability of English clubs to secure better deals with the most egregious example being Liverpool, whose deal with Standard Chartered is worth €24 million a year, even though they have not even qualified for the Champions League. Similarly, the club’s previous sponsor Bwin pay Real Madrid €20 million a season – twice what they were paying the Milanese team. Even though there is room for improvement in marketing, Milan’s real issue is match day revenue, which is very low at €33 million. In fairness, this is the highest in Italy, ahead of Inter €28 million, Roma €19 million and Juventus €17 million, but it still looks pretty feeble compared to major clubs in other countries. At the other end of the spectrum, Manchester United and Arsenal generate €128 million and €118 million respectively, which is almost four times as much. That’s a huge advantage, especially when it happens every single season. 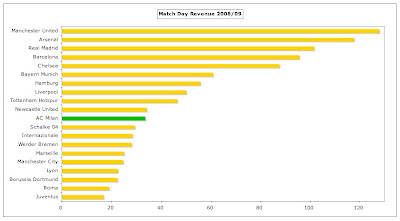 Despite attracting average attendances of just under 60,000 in 2008/09, the match day revenue was obviously held back by the lack of Champions League action, though this was offset by raking in €6 million from numerous international friendlies, including games in Qatar and the USA. Of more concern is the dramatic decrease in attendances last season, when the average fell to 43,000. From having the highest crowds in Serie A, Milan have now fallen behind Inter and Napoli. Nevertheless, the development and commercialisation of the stadium is the key revenue issue for Milan to address. As Galliani explained, “A new stadium is essential for a club that wants to compete in the future. Look at Bayern Munich: since they built a new stadium, their revenue has increased by €60 million.” This is why both Milan and Inter are exploring possible alternatives to the current ground sharing arrangement at San Siro, though some believe that this is merely a ploy to force the local council to sell the stadium for a nominal fee, which would free up funds for the extensive renovations required to modernise the famous old ground. It’s not just that Milan currently pay the council over €4 million rental a year under a 30-year lease ending in 2030, but the lack of ownership means that they miss out on profitable opportunities like premium seating, corporate boxes, restaurants, retail outlets, naming rights and non-sporting events. It had been hoped that the stadium would be developed as part of Italy’s bid for Euro 2016, but this was lost to France. Instead, investment might be made in order for the stadium to meet the standards required to host the 2015 Champions League final. Whatever the solution, something must surely be done, as this massive revenue shortfall means that Milan are not competing on a level playing field. As Galliani lamented, “The rankings for revenue and sporting success tend to coincide. The gap comes from different points of departure: in the case of Milan the gate receipts do not reach €30 million a year.” There is no doubt that it would require substantial funds to build a new stadium, but we have seen how beneficial that can be to other teams. Also, much of the funding could be sourced from innovative deals, e.g. over 60% of the money for building Juventus’ new stadium is derived from a long-term naming rights deal with a marketing partner. Even with all these challenges, the revenue of €208 million would not be too bad, if it were not for the inconvenient fact that costs are almost 50% higher at €292 million, leaving a vast deficit of €84 million. In fact, Milan’s wage bill looks very high compared to almost all other Italian clubs. According to a survey by La Gazzetta dello Sport, the salaries for the 25 players in their first team squad amount to €130 million, far higher than the likes of Roma €83 million, Fiorentina €42 million, Lazio €41 million, Sampdoria €35 million and Napoli €28 million. The total payroll of €172 million, including all staff and bonuses, also looks excessive in comparison with foreign clubs. It’s only just behind big spending Real Madrid’s wage bill of €187 million, but higher than Manchester United €155 million, Bayern Munich €139 million, Arsenal €130 million and Lyon €112 million, all of whom have progressed further than Milan in the Champions League in the past few seasons. The steady increase in Milan’s salaries has resulted in a wages to turnover ratio of 83%, which is far higher than UEFA’s recommended maximum limit of 70%. However, this actually represents an improvement on the previous year’s 100%, thanks to some revenue growth. Let’s consider what that statistic means for a moment: every Euro invoiced by the club is spent on wages, leaving nothing for any other expenses or indeed a transfer budget. In fairness, this is a common problem for Italian football. Deloittes’ analysis of the top five European leagues for the 2008/09 season revealed that the average wages to turnover ratio for Serie A was the worst at 73%, even higher than the Premier League 67% and much more than the prudent Bundesliga 50%. 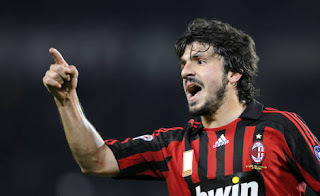 "Plenty of fight left in Gattuso"
That said, Milan are planning to slash their payroll by 30%. This has proved difficult up to now, as the club has been unable to offload older players, because of their high wages. Either this “dead wood” was unwilling to leave for less money or other clubs were reluctant to match their salaries. Frankly, this looks very much like an example of poor management, but fortunately Milan will be able to finally address this issue at the end of the season when ten players’ contracts expire, including the likes of Ronaldinho, Seedorf, Nesta, Ambrosini, Inzaghi and Jankulovski. That could reduce the wage bill by around €50 million, bringing it down to more sustainable levels. Clearly, these players will need to be replaced, but the cost should be much less, e.g. according to La Gazzetta, Ronaldinho’s salary is €7.5 million, but Milan should be able to find an equivalent striker for €4.5 million (Diego Milito’s salary). The player amortisation should also reduce either from the sale of the older players or simply from the fact that the original purchase costs have been fully amortised, though this could be more than off-set by the new amortisation from bringing in replacements. Remember that amortisation is the annual cost of writing-down a player’s purchase price. For example, Robinho was signed for €18 million on a four-year contract, but his transfer is only reflected in the profit and loss account via amortisation, which is booked evenly over the life of his contract, i.e. €4.5 million a year (€18 million divided by four years). To be fair, Milan’s player amortisation is already relatively low at €41 million, compared to those clubs that have traditionally spent big in the transfer market: Manchester City €83 million, Barcelona €71 million, Real Madrid €64 million, Chelsea €57 million and Inter €50 million. Milan’s deficit is one of the reasons why their debt is so high. In fact, net debt at the group level has doubled in the past four years from €151 million to €301 million. Actually, net debt is almost identical to gross debt, as the club has no cash to speak of, and mainly comprises €171 million of bank loans plus €118 million owed to factoring companies based on future income. This is considerably more than Inter’s bank loans of €48 million, though it’s worth pointing out that Milan are owed €81 million from other football clubs, including €47 million from Real Madrid for Kaka and €7 million from Real Zaragoza for Ricardo Oliveira. In contrast, Milan only owed other clubs €16 million, mainly €10 million to Real Madrid for Klaas-Jan Huntelaar and €4 million to Fluminense for Thiago Silva. This debate has raised the prospect of Berlusconi selling Milan, as he might no longer consider the football club a strategic asset for his multimedia empire. Such talk has been exacerbated by the financial difficulties faced by Fininvest, particularly the court ruling that ordered the company to pay €750 million damages to CIR, the media group formed by Carlo de Benedetti. There have certainly been offers, including €700 million from Albanian oil tycoon Rezart Taci, while the press has speculated about interest from Russian gas giants Gazprom and Libyan sovereign funds. 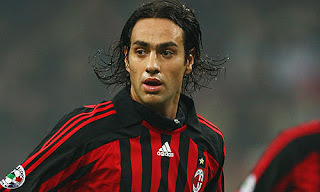 "Nesta - still a pretty good player"
The other consideration would be whether a sale would damage him politically. Berlusconi’s initial rise to the political summit just happened to coincide with Milan’s irresistible progress on the pitch. As Paddy Agnew, a Rome-based football journalist, commented, “Berlusconi will frequently use the club to recreate a winning image of himself.” This might explain the spectacular arrival of big names Ibrahimovic and Robinho, which could be an attempt to boost his flagging popularity in the opinion polls. On the other hand, political reasons may also explain why Berlusconi cannot spend too much money on his football club, as this would not look good when the rest of the country is suffering one of the worst economic recessions for years. Even if Berlusconi did want to return to the good old days with a few extravagant purchases, he needs to be mindful of the new UEFA Financial Fair Play Regulations, which will ultimately exclude from European competitions those clubs that fail to operate within their means, i.e. make a profit. These will be implemented in the 2013/14 season, though the monitoring period will cover the preceding two reporting periods, 2011/12 and 2012/13, so clubs like Milan are under pressure to rapidly eliminate their losses. Wealthy owners will be allowed to absorb aggregate losses of €45 million over three years for the first two monitoring periods, so long as they are willing to cover the club’s losses by making equity contributions. The maximum permitted loss then falls to €30 million from 2015/16 and will be further reduced from 2018/19 (to an unspecified amount). Although Milan’s last results were within this “acceptable deviation”, this was only achieved with the highly profitable sale of Kaka, which cannot be repeated every year, hence the push to cut the wage bill. So what is the way ahead for Milan? Actually, it could be “Back to the Future” with the club again focusing on developing young players from the primavera. In the glory years, Milan’s first team included many in-house products like Franco Baresi, Paolo Maldini, Billy Costacurta and Demetrio Albertini, so this has worked well in the past. It’s also been a successful strategy at other clubs, notably Barcelona and Bayern Munich, so it’s equally relevant in modern times. It is debatable whether Berlusconi would have the patience to adopt such an approach. After all, he’s not getting any younger and he gives every appearance of being a man looking for instant gratification (in whatever he does), so he might instead opt to play the transfer market. Actually, in the short-term this might not be such a bad idea, as Milan is sitting on a lot of unrealised profit with the players valued at €98 million in the balance sheet, but worth around €245 million in the real world (according to Transfermarkt). This leaves the club on the horns of a dilemma, as they need to cut back on their expenditure, but at the same time they must spend to ensure that they have a competitive squad or risk missing out on qualification for the Champions League, which they can ill afford. Appropriately enough for a club nicknamed the “devil”, it’s a case of damned if you do, damned if you don’t – a high-wire balancing act that will require all the skill and experience of the Berlusconi-Galliani axis. The question is will they be up to the task? Having watched Milan for many years i would by lying if I said I never seen this coming, It's always been on the horizon because for the past 8/9 years Milan have relied heavily on "Legends" (or according to Galliani, "Champions", its hard to disagree though). They've payed these experienced players huge wages and It's paid off for Milan in the past, but now they've reached a point where their Champions are just not up to it anymore, don't get me wrong, Nesta is still one of the best centerbacks in Serie A if not world football even at 34, Gattuso is showing the form of several years ago and Pirlo is having a great season, but apart from them Milan's Champions are struggling (although Pippo Inzaghi will still be scoring goals for fun at 55, although i think that's for another day). I don't think we'll see a truly self sufficient Milan for a long time, they just can't do it, look what happened when they sold Kaka, the fans practically stuck two fingers up at Berlusconi and Galliani, Milan fans will not accept their best players being sold and neither will they accept mediocre signings year on year. They're victims of their own success in that sense. Taking into account all this, I still think Milan will be fine, as much criticism as Galliani receives, that man knows how to run a football club and he won't shy away from making the big decisions. 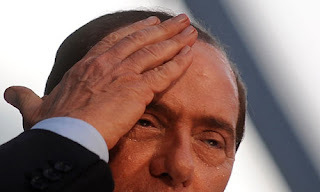 RE Berlusconi, I don't worry about him now, I worry about what happens when he (dare i say it) dies (if that is indeed possible, he could very well live for forever). I'm surprisingly up-beat, despite suffering from post-Maldini stress. I was surprised by the fact of the huge debt of the club. I was under the impression that the club did not have any debts (except for the usual transfer-balance). I always thought that the president covered any loss the club made in previous seasons. Could you please elaborate on this? It should also be said that Milan have cut its wage bill after the sale of Kaka (earned around 12 mio. euro net), Maldini retirement, Dida stopping etc. The wage has been reduced to only 130 mio. 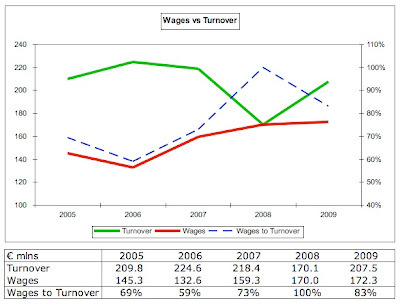 euro which gives another percentage on the wages/turnover. So they have already done this but there are certainly room for improvement as you mention the contract expiring in the summer. The voice from Milan is that they are working hard on improving commercial turnover and according to the news of the club they are doing very well in this aspect. However, the effects on this will first be seen on the next financial report. Just a comment: on the first part, Milan Lab no longer manage AC Milan medical side. Berlusconi has acquired a new physio lab that cured most of AC Milan player the last two seasons and dismissed the Milan Lab structure definitively. "Milan are owed €81 million from other football clubs, including €47 million from Real Madrid for Kaka and €7 million from Real Zaragoza for Ricardo Oliveira. In contrast, Milan only owed other clubs €16 million, mainly €10 million to Schalke 04 for Klaas-Jan Huntelaar and €4 million to Fluminense for Thiago Silva." I don't understand this ... Milan owes Shalke 10mil for selling Huntelaar? You're quite right. I should have written Milan owes Real Madrid €10 million for Huntelaar. I have now corrected that. Thanks. By the way, these figures come from the last set of published accounts, which were as at 31 December 2009, so things may have moved on since then. Thanks for that. Seems odd, given the fine reputation that the Milan Lab had (at least abroad). The accounts show that the president provides some support (via Fininvest) and partly covers the losses, but that has not prevented the debt increasing. It is true that actions have been taken to reduce the wages, but you should be careful of the €130 million figure that was quoted in the Gazzetta. As their accompanying notes state, this only covers the net salaries of the 25 players in the first-team squad, where they have estimated the gross figures. It therefore excludes salaries for other players, non-playing staff and bonuses. i think it's going to take another 3 or 4 years to be back in the glory days for big italian clubs if they are run properly.As you pointed out milan's been poorly managed. Any blog about real madrid in future? I think they published their accounts on their official website months ago. "RE Berlusconi, I don't worry about him now, I worry about what happens when he (dare i say it) dies"
I can honestly say I have never heard anyone worry about that 'person' dying before..
another great blog, by the way. Really interesting insight into the what goes on behind the scenes at these clubs. Not something you hear that much about normally. Great article as always, being a fan of Italian football I was wondering if you might consider doing an article about AS Roma in the near future. As you probably know the club is for sale, and I'd love to see exactly where their finances stand and where you see an new owner investing and improving, what's realistic to expect from an eventual new owner. On one hand they are over reliant on old players and buy discarded players like Ronaldinho, Ibrahimovic and Robinho; on the other hand they lose exciting young players like Gourcoff. No wonder Milan is in such a mess. Another fascinating piece Kieron, keep 'em coming. One minor quibble: you cite Milan's player salary figure as €130m, but then seem to suggest that is higher than United (€155m) and Bayern Munich (€139m). Or am I misreading this? Yes, I could have explained this better. The €130m figure that was quoted in the Gazzetta only covers the salaries of the 25 players in the first-team squad. It therefore excludes salaries for other players, non-playing staff and bonuses. This is the figure that I used in the comparison with other Italian clubs, whose salaries I took from the sane Gazzetta survey. However, for the comparison with foreign clubs, I took the total salary figure of €172m from the accounts, which includes all players, admin staff and bonuses. The figures I quoted for United, Bayern, etc are also from their accounts, so it's a like-for-like comparison. Think I will edit that to make it clearer. Thanks. I'm sorry to ask you for this as I know you get many requests of this kind. But where did you acquire the financial report of 2009? I know you have had similar questions i other article but I hope you will help as the case of Milan is special as they "hide" it under "Fininvest". And as a non-italian I have no idea where I can find/purchase it. Another question. How alarming do you find the depts of Milan? To me it seems as if they have no security of their loans (other than the mercy of the president/Fininvest). They do not own their own stadium and Milanello, even though an innovative center, cannot cover this amount. 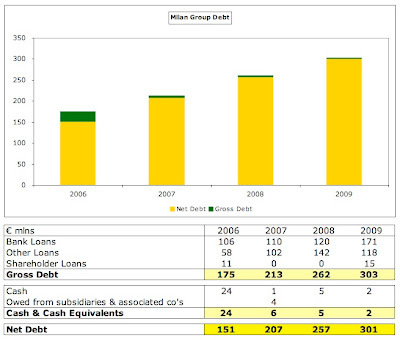 The debts are worrying to the extent that they depend on the continuing support of Fininvest, but I would not be overly concerned for four reasons: (a) I cannot see Berlusconi letting Milan fail - for political motives, if nothing else; (b) similarly, it would be a brave bank to force Milan into administration; (c) there is always likely to be a buyer for Milan; (d) in the worst case scenario, Milan could raise a lot of money via player sales, though this would obviously be highly undesirable. Funnily enough, you're the second person today to ask me if I could write an article about Roma. I might do at some stage, but I've done a few Italian clubs recently, so it might be a bit repetitive, even though Roma's situation is interesting. I was wondering if you could possibly right about some teams not in one of the big 4 leagues like Zenit St. Petersburg, Ajax, Bursapor, Rubin Kazan, FC Kobenhavn, Basel, or Shakhtar Donetsk. I love this site... amazing stuff. I was searching everywhere for an article bout Milan as good as this one. I should say there is not even one line where i disagree with this article. very good understanding of the club structure related to both on-field issues and off the field issues. I wonder how long did u take to prepare this entire article. Work well done. Before the start of this season Milan finally looked like they were turning their focus into the primavera players with emphasis given towards Merkel, Oduamadi, Verdi etc only for their entire plans to be changed during the last week of transfer madness. This surprises me as i fail to see the actions weren't related to their objectives. So if Chelsea decide to splash on Pato Milan will accept? It would be nice to read about the future of top european leagues...some kind of comparesation. Would love your view on the collective outlook for European football over the next decade or so as the industry is restructured to make it more sustainable. Clubs tend to be identified with communities but to ensure survival, it needs to be run sustainably, business wise. Some Dutch clubs have merged in the past to remain as a viable entity so just shows anything is possible. Reading your collection of articles of various clubs across Europe, the main conclusion seem to be that the introduction of the Financial Fair Play is timely indeed. The restructuring of the football landscape is necessary to ensure clubs survive. Fans want glory but now owners have the capability to resist going crazy and/or limited certainty that other owners wont be going crazy ala Moratti or Sheikh Mansour. From mid-tier English clubs trying to survive relegation by player "trading" to storied and reputable European giants trying to cut costs, the theme is the same all across the continent. I believe players wages have gone up too high too fast. Clubs across Europe will have to introduce younger players earlier to keep costs down and generate returns from their academies, which is not cheap to run I'm sure. For clubs from smaller leagues it is a necessity. Makes it more amazing that clubs like Arsenal, United, Barca and Bayern continue to introduce youngsters and remain competitive. The only major issue remaining would be for the Spanish clubs to restructure their broadcasting rights to be more collective. While this will be resisted by Real and Barca, in the long run it should be good for La Liga. It would ensure more quality which would help to sell the league better in foreign markets ala the Premier League, which is what Serie A and Bundesliga is slowly trying to replicate. And also help out in the distribution of stars from the other 4 leagues from continuing to look at Barca/Real for a big payday. Restructuring will take time as the scale of UEFA is huge. It cant be speedily corrected such as the sports leagues in the US where collective bargaining between players and owners allows all parties to make decent money from the industry and ensure its long term survival and growth. Hopefully it will bring back some competitiveness to European football. In the NFL, any team can win the Super Bowl on any given year. But some franchises still have more cachet than others. In Europe, only the Bundesliga could do this - teams more or less equal, playing some exciting football (highest goals per game among the major leagues). Its not all equals, as Bayern will always be there or thereabouts every year. Its not all doom and gloom I suppose. Sports will always continue to provide a public platform, hence the injection of funds into Russian or other Eastern European clubs for example by corporates such as Gazprom. Even from the betting companies and global airlines and banks. The exposure is guaranteed as there are not many events that will attract eyeballs consistently in the world of ever growing channels. Enough rambling from me. Kudos and continue with the good posts. I'm hoping to write some articles on teams from other leagues, though the research is a lot more difficult. Watch this space. Another interesting read, thanks. One thing I find puzzling is *why* the Italian gate receipts are so low all-round. That they are, despite large existing stadia, suggests that a new stadium might not make too much difference to revenues. As I understand it, cultural imperatives prevent increasing ticket prices Italy, hence the current situation, and the San Siro already has huge capacity. Obviously there will be additional revenue opportunities, but will they be enough alone to make a new stadium beneficial? A question regarding the dept. What do you mean by: "€118 million owed to factoring companies based on future income."???? Concerning the stadium the problem match day revenue is not solely caused by the stadium. You must consider the poor Italian economy as well. I know Barca and Real should suffer from this as well, as the Spanish is even worse of. Their brands, however, have a more global appeal which makes it easier to attract the "right" people. By the right people I mean the once you refer to when you are talking about Sky Boxes, Premium seats etc. Earlier, you have talked about how Arsenal generates the same amount on VIP's (at the Emirates) as they did at the whole of Highbury. This perfectly illustrates the point that you need the "right" people in the Stadium ( for a greater match day revenue). Another argument for was also stated when you analyzed Dortmund. They have the second largest attendance in Europe but did not have a noteworthy revenue. They certainly need to have the facilities to increase the revenue but there are other aspects as the national economy, football culture etc. 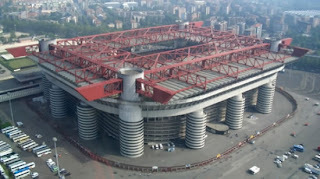 Hopefully, Milan can buy the San Siro and improve it to meet future standards for both increase of revenue. Factoring is essentially when a company sells its invoices to a third party called a factor at a discount in order to raise funds. It's an alternative to bank loans. I have now looked at the financial report using google translate (that took a while :)). However, I cannot seem to find any estimate of how the club want to repay the depts of the bank loans? By this I mean a time estimate as you have stated both Arsenal & Dortmund have?? The same goes for the Factoring part. Do they have any estimate on when these depts will be "paid"? Sorry for all the questions but as a passionate fan of Milan and your blog, I have been looking forward to this particular article. thanks for this brilliant post. after yesterday evening's derby victory i am quite confident that this could be the season when the revival begins. and as long as there is still passion in those old legs of Nesta, Seedorf, Gattuso, Ambro and Pirlo, this team can still win trophies. I was under the impression that the big italian teams filled their squads with aging players signed from other italian clubs rather than buying the best young talent from around the world, because they didn't have the money to compete. I didn't realise until I read your blog that they were spending so much more money on players than the top english clubs. I think it's staggering that the milan team that lost 7-2 to man utd over two legs was being paid so much more money. Interesting post. However, as Milan's fiscal year coincide with a calendar year instead of a football season, the 2009 annual report might just happen to capture the most abysmal financial snapshot during 2008-2010 (namely, 08-09 season, and 09-10 season). A period, during which Milan was hit the hardest in terms of sporting, and as a result, in terms of finance. First, the prize money usually comes in in June. 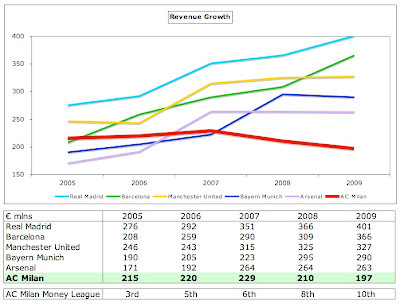 Part of the revenue reflected in 2009 annual report was prize money from 08-09 season, when Milan did not participate Champion League and totally missed out the money pool. On the other hand, the prize money for 09-10 will not be shown in the 09 annual report, when Milan finished third in the Serie A and broke into CL knockout stage. 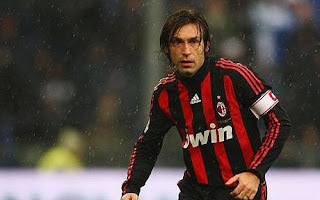 Second, during 08-09 season, Milan had signed several heavenly paid stars (Flamini, Zambrotta, Borrielo, Thiago Silva and especially Ronaldinho) and have taken several high profile loans (Beckham, Sheva & Senderos). This is reason behind the staggering high wage bill, even Kaka has left in June. You can see in the report the wage cost almost remains the same at 172M in 2009. However, in the 2010 annual report, we could expect to see a much healthier wage bill given the departure of Kaka, Maldini, co in e June 2009 and Dida, Kaladze, Borrielo & Favalli in 2010, and the loaned stars. We might also see the effect of Anchelotti & co taken off the wage bill after many year's of success and replaced by younger coaches. Given the one and two, the wage/turnover ratio will be undoubtedly very high. To be fair, I like your article a lot, but somehow the financial statement of Milan at the end of 2009 captured the worst part of the whole story. P.S. I am less concerned with the wage bill after departure of several high-paid old guards, and a imminent contract renewal wave. 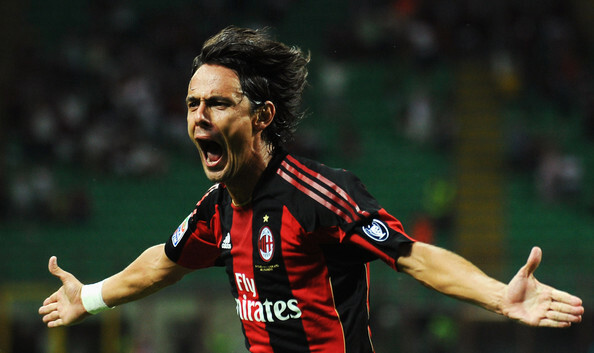 Zambro, Oddo, Jankulovski, Inzaghi, Seedorf, Inzaghi are bound to leave within two years. Their replacement Abate, Antonini, Yepes, Boateng, Amelia, Papa earns much lower wage stub. And Nesta, Pirlo, Ambro and Co will not get what they earn now after renewal. For the revenue stream, serie A has bagged the highest domestic TV deal in the history (900M), whereas previously it was only 600M. Taking into oversea TV deal, it will hit 1B. Another thing is the champion league money pool is linked with domestic TV deals, and given only three serie A qualified Champion League group stage this year, there will be significant increase of CL money. Although it is true that the 2009 accounts cover the 2009 calendar year (as I mentioned in the article), your assumption on how the European money is allocated is not correct. The 2009 annual report includes 20.4m for central distribution for TV rights (compared to 7.4m in the 2008 accounts), which is made up of money from the last 32 round of 2008/09 UEFA CUP and the group stage of the 2009/10 Champions League (as explained on page 74). As the money received for that stage of the UEFA Cup was insignificant (only 70k), almost all of this money (around 20m) in fact comes from the 2009/10 Champions League. The remaining 2009/10 Champions League money (around 3.5m) which covers the round of 16 will be in the 2010 accounts. I agree that the wage bill will reduce, as many of the older players leave, but they will have to be replaced, so it is not yet clear how big the reduction will be. Interestingly, the annual survey printed by Gazzetta dello Sport shows the Milan wage bill actually increasing from 125.5m in 2009/10 to 130m in 2010/11 (though that only covers the 25 players in the first team squad), largely due to Ibra's arrival. Galliani would not agree with your view that 2009 will be the "worst part of the whole story", as he has stated that the 2010 results will be worse than 2009, because the club will not be able to sell Kaka again. Without the 63m profit from that sale, the 2009 loss of 19m would have been 82m (about the same as the 2008 loss of 77m), so an awful lot will need to come off the wage bill to significantly improve that. Yes, there will be an increase in Champions League money, but not as much as you suggest for the reason I explained above, namely the 2009 accounts include 20m of Champions League revenue. Also, I would anticipate a reduction in domestic TV money: in the past Milan benefitted from a large individual deal, but the money will now be allocated on a collective basis. Although the new TV deal is indeed larger, all that will mean is that the decrease is not as much as it would have been if the sum had remained unchanged. Unfortunately the club does not provide details of when the debt is due. How could that be if their debt in fact is €301 million? The debt figures used to calculate the debt/value % in that Forbes article are clearly nonsense, as they imply that many teams have no debt at all - including Barcelona. In fact, the whole methodology in their analysis looks seriously flawed to me. Their definition for Current Value is “Value of team based on past transactions and current stadium deals (unless new stadium is pending) without deduction for debt (other than stadium debt).” In other words, if an owner has bought a club for an absurdly high price, funded by mountains of debt, then this is the starting point for the Forbes valuation. Nor do I know how Forbes can accurately source their data for stadium deals. As for “without deduction for debt”, need I say more? According to Galliani, Milan only holds €9.8m in debts. The thing about Milan's account is that it hide under Finivest, and had connection with Finivest's another child company Mediaset. Finivest's account itself is a mess, largely because Belu controls the company via 19 different enterprise entity. I have seen his comments, but I'm not sure that I believe them. Although it is true that the Milan Group is part of the Fininvest empire, none of the debts that I listed above are inter-company. They are all external debts with third parties. For the lower figure to be accurate would imply that there were significant cash balances elsewhere in the organisation that could be used to offset the debts in the Milan Group and I'm not sure that is the case. Incidentally, in the very same article where Galliani talked about 9.8m of debt, he also stated that Milan would not be selling Huntelaar or Borrlello (amongst others), but they were both gone a short period after. The balance sheet does not reveal the debtors of these loans. if it comes from Mediolanum, another child company of finivest, then it is like berlu changing money from left hand to right hand. same case with the interest free loan taken by chelsea from its owner. I just have to return to the wages once again. The 2009 wages includes the wages for Beckham, Shevchenko, Maldini, Kaka, Senderos. At least for the first 6 months of the year. They are not included in the gazzetta list for this season (http://www.gazzetta.it/Media/Foto/2009/09/03/stipendi/milan.jpg). It is no secret that Beckham, Sheva and especially Kaka (the best paid player in the world at that time)were responsible of a great part of the wages. Compared to next annual report i expect this to have decreased as even though the Gazzetta had reported an increase in this season, they have not included the factors above. Obviously, Beckham played at Milan this spring as well but Kaka and Sheva didn't. Furthermore, the numbers from the Gazzetta have some inconsistencies from 08/09 to 09/10. For instance, Pirlo earns 6 in the newest compared to 5 in the former. Flamini & Nesta 4,5 compared to 4 in the former. At the same time players such as Zambrotta and Ambrosini who both stated that they have taken a cut in their wages when they renewed their contracts, earn the same as before. Don't get me wrong. Milan have a seriuos problem with their wages and even though they have reduced som wages, there is still a long way to go. However, i guess we all will know how their real financial state is in the next financial report (regarding costs) as the wage-slashing policy will have had its first effects. Galliani also stated the other day that he will wait to renew current contracts in the spring in order to make the right decisions. Furthermore, he stated that they would bring up 3 or 4 players from the Primavera in order to meet the regulations from UEFA. Also, how did you calculate the transfer spend/received? Which players did you include? Regarding the fact that the club sold Borriello and Huntelaar it was not just a matter of money. Well, it was in the sense that the club needed to sell Huntelaar in order to raise funds for Zlatan/Robinho. However, when you consider the playing time for Huntelaar in his first season it was no surprise that there was not any room for him after the arrival of Zlatan. The same goes for Borriello who was in a place in his career where he need to play every week and that would not happen with Zlatan in the squad. In the end Milan replaced two decent players with two better players both on and of the field (commercially: Milan sold 10.000 season tickets and 54.000 CL season tickets after the purchases). It's true that the balance sheet does not identify the source of the loans beyond the "banking system", but the fundamental question is why is the debt increasing? It's because losses are being accumulated. Even if the loans are effectively from a company controlled by Berlusconi, this will not help Milan in the UEFA Financial Fair Play era, unless they can bring their P&L into line. If not, there's a limit to how much UEFA will allow a benevolent owner to cover a club's losses. I'm not sure why you are still banging on about wages. I have now said twice that I believe that the wages are likely to reduce: both in the original article and then in my response to your first comment. There is no dispute about this. However, the main thrust of your initial comment was that 2009 would be "the worst part of the story". I am far from convinced that this will be the case, but, as you say, we shall see when the next results are published. It was not me who made the claim regarding the "worst part". I will make a profile so I don't get mixed up with the other anonymous comments. But I'm sorry if I repeated the some points. I know how time consuming it is to have a blog even without this. But for my question regarding this years transfer budget. How did you calculate this? This is mere of interest as I do not dispute the numbers. My apologies - I misinterpreted your comment when you said you had to "return to the wages". Re transfer spend, I took my figures from the Transfermarkt website. As you know, transfer figures are always open to debate, so some may not be 100% accurate, but it's a good, easy source for transfers that covers many years. I can see why the phrase/username could cause the confusion. I have tried to find one of your other articles where you give a definition of Player Amortisation. I know its there becuase I have read but I simply cannot find it again?? I do not know much about accounting in general so it could be usefull to have the definition. If you go to the latest piece on Bolton Wanderers, there's an explanation of player amortisation about 2/3 down (just after the graphs on wages). I will surely read that as soon as possible. I actually found the article I was searching for as well. It was the Ibrahimovic Transfer Article. Very nice post, and very nice blog! I just discover it, good job! The part on Milan's debt is very interesting. Like many other commenters on this blog, I was also under the impression Milan's debt was very small (I'm talking under €100m). The two articles quoted in one of these comments, where Galliani claims the debt is €9.8m, I believe are a case of the writer not understanding the difference between a yearly loss (the figure Galliani quotes in these articles is exactly the same as the yearly loss in the Milan accounts) and net debt. However, I find it difficult to believe Milan has a net debt of €301m. Debt can be a complicated thing anyway, and there are several financial nuances that can constitute as debt without actually being as serious as the word implies. I think that the debt for Milan football club is small (I.E. not €301m), but that the figures are being distorted due to the quotes being for Milan group, which is wholely possible considering the various arms of that company. What do you think to this? I don't think that the debt is over-stated. As you rightly say, the net debt of €301m refers to the consolidated group balance sheet (Gruppo Milan), but the same annual report also breaks out the football club accounts (AC Milan), where the net debt is at a similar level, in fact it's slightly higher at €306m. Of course, the club's debt could be affected by balances in other parts of the Fininvest empire, but the debts that I have listed are all external, e.g. to banks, and exclude any inter-company payables. I stumbled onto this article by chance. I must say it is well written. However, some figures in your article seem to be significantly different from milan's yearly report. 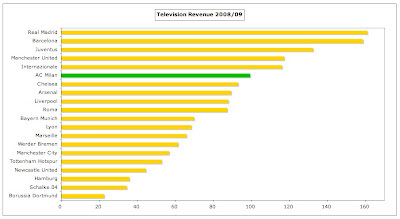 for example, the tv revenue for 2009 is 133.5M, while for 2008 it is 122.2M. Yes, I explained this in the article. The revenue reported in Milan's annual report is as per Italian standards, i.e. it is grossed up with the costs including the share given to away clubs. When reviewing Italian clubs, I always deduct the expense from the gross revenue to give a net figure, which is the way that Deloitte handle this in their yearly ranking of European clubs. This ensures that they are comparing "apples with apples". So, in the case of the 2009 TV revenue, Milan's reported figure is 133.5m (Proventi da cessione diritti televisivi), from which I deduct 16.7m (Percentuali su diritti televisivi a squadre ospitate), which gives the 116.8m figure in my profit and loss table. The same principle applies for gate receipts. Every Italian review I have done this way produces the same figure as used in the Deloitte report - except Milan, because they close their accounts on 31 December. I queried this directly with Deloitte, who told me that the club had provided them with figures adjusted for the timing difference. Milan got lucky last summer transfer window. They had money to spend from Kaka sale and a depressed market after the other big clubs had spent a lot of money in the previous 2-3 years. They really have to build off this now. Mexes and Taiwo were good buys on free transfers. 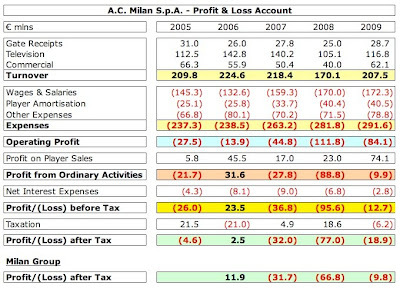 Milan have just published their latest account which showed an even worse fiscal year in 2010. I have a question, however, regarding FFP. When Galliani talked about the financial report of 2010 he said that the fiscal year of 2011 (the entire year as the club's accounts follow the actual year) was the last year before FFP. Is it possible for Milan to do this? I was under the impression that FFP started this summer already. Do you know if there is a rule for those clubs who do not follow the football season in their accounts but follow the calendar year? Just wondering why Amortization is part of the operating profit? In other articles it isn't. Which way is the most appropriate way to account for the operating profit? This is exceptional work, Swiss Rambler. If I may ask where do you get all of your information? Does the club make these reports available, or you also mentioned Deloitte? It may seem odd but this is all really interesting to me, club finances that is. I'd love to explore the primary sources, maybe even check out the more recent reports. Thanks! great piece, congratulations. got here reading on famed milan lab, but read most of it. keep it up. Usually writes about the business of football. Occasionally I share my thoughts on music, books, films, television, podcasts and other stuff. Copyright © 2009-16, Swiss Ramble. All Rights Reserved.